By Wang Jung-hsiung, Chu Pei-hsiung and Jonathan Chin / Staff reporters, with staff writerKaohsiung Mayor Han Kuo-yu (韓國瑜) yesterday said he did not write a letter demanding that Chinese Nationalist Party (KMT) Chairman Wu Den-yih (吳敦義) to make him the party’s presidential candidate without a primary. Han made the comment at a news conference at Kaohsiung City Hall after returning from a nine-day visit to the US. Asked for comment, Han said that he did not write a letter to Wu and and asked reporters to name the source of the allegation. Gou on Wednesday announced his decision to join the KMT’s presidential primary and has maintained that he would not accept direct recruitment by the party headquarters. 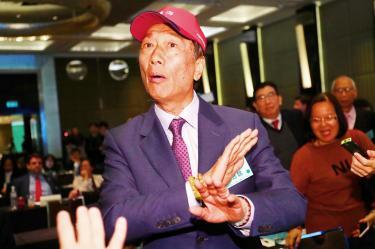 Prior to Gou’s announcement, Han was seen as the KMT’s most favored presidential candidate, with many party members calling on KMT headquarters to recruit the mayor as its candidate without a primary, as he has repeatedly stated his lack of interest in the presidency. By Lisa Wang / Staff reporterTaiwan Semiconductor Manufacturing Co (TSMC, 台積電) yesterday posted its weakest quarterly net profits in about four-and-half years, largely due to flagging demand for premium smartphones and customers’ inventory corrections. TSMC’s net profits plunged 31.6 percent to NT$61.39 billion (US$1.99 billion) in the quarter ending on March 31, compared with NT$89.79 billion in the same period last year. For this quarter, TSMC expects revenue to grow about 7 percent to between US$7.55 billion and US$7.65 billion, compared with NT$218.7 billion last quarter. It is still aiming for 50 percent growth in gross margin for the second half of this year and in the long run, the company said. TSMC kept its capital spending for this year unchanged at a range between US$10 billion and US$11 billion. By Crystal Hsu / Staff reporterShining Building Business Co (鄉林建設) yesterday launched a new presale residential project in New Taipei City’s Sinjhuang District (新莊), as the company remains upbeat about the area’s growth potential. The release of the project came as local developers seek to take advantage of a slow, but steady recovery in the market, fueled in part by capital repatriation, Shining Building chairman Lai Cheng-yi (賴正鎰) said. “It is our fourth project in Sinjhuang, where major developers and companies have made a presence, attracted by improving infrastructure,” Lai told a news conference. The property tycoon raised his forecast for presale projects this year to NT$1.35 trillion, compared with an estimate of NT$1.2 trillion he made in December last year. Shining Building has sold all of the presale project’s two-bedroom apartments, as small apartments are popular among first-time buyers and property investors, Lai said, adding that investors account for 30 percent of property sales. Donations and offers of help began to pour in as day broke over the City of Light, revealing the extent of the damage from Monday night’s inferno, which took about 15 hours to extinguish. I described it this way: It was total chaos, but we can’t let it knock us down,” Notre-Dame vicar general Philippe Marsset said. “Nothing indicates this was a voluntary act,” Heitz told reporters, adding that 50 investigators had been assigned to the case. “The work will surely take years, decades even, but it will require thousands of cubic meters of wood,” Sylvain Charlois of the Charlois group told France Inter radio. “We have everything to be able to rebuild it in exactly the same way,” French Minister of Culture Franck Riester told France Inter, adding that the government was looking at ways to encourage donations. Staff writer, with CNAThe Women’s Economic Empowerment Summit yesterday brought together hundreds of participants from more than 15 nations to Taipei to discuss strategies and initiatives to empower women in Taiwan and the Asia-Pacific region. It is part of the White House’s Women’s Global Development and Prosperity Initiative, which AIT Director Brent Christensen said was launched to promote an understanding that women are critical to economic prosperity and global peace. He also announced two new US-Taiwan projects under the initiative, which he said would make empowering women a central priority. President Tsai Ing-wen (蔡英文) told the summit participants that Taiwan is a regional leader in empowering women, as women account for nearly 40 percent of the nation’s lawmakers and mayors. Yesterday’s summit was part of a series of events around the world leading up to the Global Entrepreneurship Summit in the Netherlands on June 4 and 5. Tsai said Taiwan was resolute in its defense. Their actions threaten Taiwan and other like-minded countries in the region,” Tsai said at a forum cohosted by the Ministry of Foreign Affairs to mark the 40th anniversary of the US’ Taiwan Relations Act. Our military forces have the capacity, determination and commitment to defend Taiwan and not allow coercion to dictate our own future,” Tsai said. Ryan said that the US considered any military threat to Taiwan a concern and urged China to stop, saying it was counterproductive. Tsai said she wants to maintain the “status quo” with China, but would defend Taiwan’s security and democracy. By Su Yung-yao and Jake Chung / Staff reporter, with staff writerSaint Kitts and Nevis Prime Minister Timothy Harris yesterday arrived in Taipei to talk about interaction between the two nations and measures to deepen bilateral partnerships. President Tsai Ing-wen (蔡英文) and Vice President Chen Chien-jen (陳建仁) greeted Harris at a ceremony that included a 19-gun salute and honor guard. 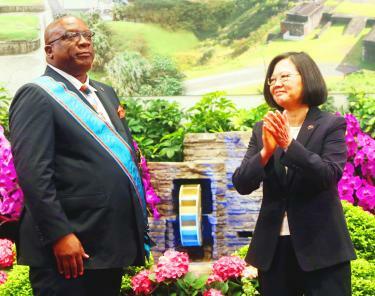 Saint Kitts and Nevis is looking forward to continuing to support and give voice to Taiwan at international events, as it has done for many years, Harris said. This is the fourth time that Harris has visited Taiwan since taking office, showing the emphasis he has placed on ties with Taiwan, Tsai said. It was the first time the honor huard had ever set foot on foreign soil to perform, demonstrating the strength of relations between the two nations, Tsai said. ReutersCanada’s Denis Shapovalov on Monday endured a birthday to forget as he suffered a 5-7, 6-3, 6-1 defeat to unseeded German Jan-Lennard Struff in the opening round of the Monte Carlo Masters. The 15th-seeded Shapovalov fought hard to clinch the opening set, but found himself immediately on the back foot when Struff claimed an early break point in the second set. Struff converted two more break-point opportunities to seal the second set before a Shapovalov double fault allowed the German to tighten his grip on the match with an early 2-0 lead in the decider. 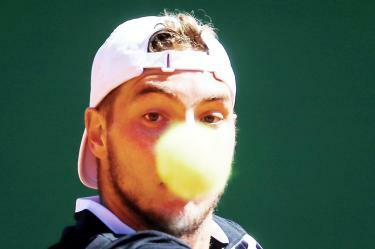 Struff, who won 72 percent of first-serve points, completed the turnaround in less than 2 hours. Earlier, Spain’s Roberto Bautista Agut recovered from a set down to beat John Millman 3-6, 6-1, 6-1 and set up a second-round meeting with compatriot and 11-time winner Rafael Nadal. 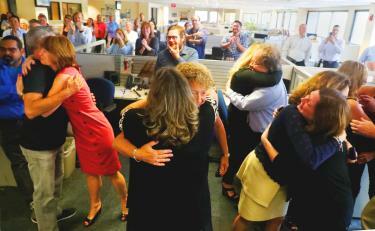 AP, NEW YORKThe South Florida Sun Sentinel and the Pittsburgh Post-Gazette on Monday won Pulitzer Prizes and were recognized along with the Capital Gazette of Maryland for their coverage of the horrifying mass shootings last year at a high school, a synagogue and a newsroom. The Post-Gazette was honored in the breaking news category for its reporting on the synagogue rampage that left 11 people dead. Reuters won an international reporting award for work that cost two of its staffers their liberty: coverage of a brutal crackdown on Rohingya Muslims by security forces in Myanmar. Reuters also won the breaking news photography award for images of Central American migrants heading to the US. The AP’s international reporting prize went to a team of journalists who documented atrocities and suffering in Yemen, illuminating the human toll of its four-year-old civil war. 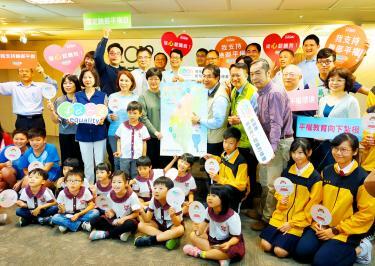 Tainan Mayor Huang Wei-che (黃偉哲) signed a letter of commitment with the Taipei-based Sunshine Social Welfare Foundation promising that the city would support the equality movement. The Tainan City Government said it would also encourage private companies to not require photographs on resumes. Burn survivors and people with facial disfigurement are not the only people who are discriminated against based on their physical appearance, foundation chief executive Shu Ching-hsien (舒靜嫻) said. From its 2015 program promoting wheelchair accessibility in restaurants to this year’s resume photograph policy, the Tainan City Government has continued to support people with physical disabilities and shown that it values equality, she added. He looks forward to all people working together to eliminate discrimination and unequal treatment on the basis of physical appearance, he added. 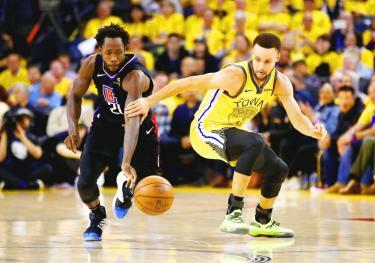 AFP, LOS ANGELESThe Los Angeles Clippers on Monday delivered the biggest comeback in NBA playoff history, rallying from a 31-point deficit for a shocking 135-131 win over two-time defending champions the Golden State Warriors. Clippers coach Doc Rivers said that he told his players at halftime, when they were down by 23 points, not to give up. The stretch drive featured the Clippers’ consistent mid-range game against the Warriors’ inconsistent three-point shooting, but fouls and injuries also worked against the Warriors in Game 2 of the first-round series. After Thompson missed a shot from beyond the arc, Clippers Landry Shamet hit a three-pointer with 16 seconds left for the game winner. The Sixers also set a club record for most points in a playoff game, squaring their best-of-seven opening round series 1-1. Milwaukee right-hander Freddy Peralta lasted 3-1/3 innings, giving up three runs, four hits and three walks while striking out three. Martinez had two hits — including a double — and has at least one hit in 16 of 17 games this season. 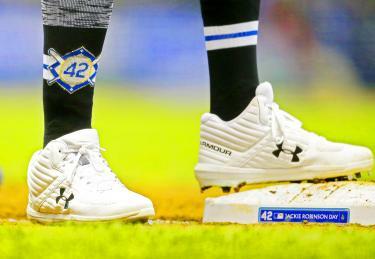 He gave up four hits, four walks and two runs in 5 2/3 innings, striking out eight. Trevor Richards (0-2) took the loss after surrendering four hits, four walks and five runs in 4 2/3 innings. He also fanned three and gave up a hit with a runner in scoring position for the first time the season. Gou made the remarks on the sidelines of the Indo-Pacific Security Dialogue in Taipei. Asked whether he is mulling a presidential campaign, Gou said that he barely slept on Monday night, as next year’s presidential race is a critical one and could decide the next two decades of Taiwan’s politics, economics and national defense. Gou said that if he decided to run for president, he would join the Chinese Nationalist Party’s (KMT) presidential primary and would not accept direct recruitment. 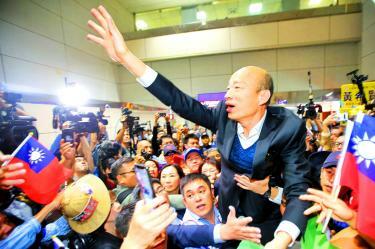 Not just in Hon Hai, many more young people in Taiwan need help,” Gou said. “It is apparent that Gou is here for [political] maneuvering [to pave the way] for a presidential bid,” the source said. 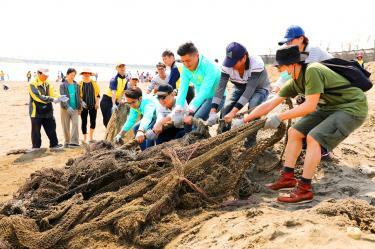 By Tsai Chang-sheng and Sherry Hsiao / Staff reporter, with staff writerAbout 2,000 volunteers participated in a beach cleanup on Sunday at the Nanliao Seashell Park (南寮貝殼公園) in Hsinchu’s North District (北區). The Nanliao Fishing Harbor (南寮漁港) has long been a popular destination on weekends, and the Hsinchu City Government has over the past few years been trying to transform the Nanliao area, Hsinchu Deputy Mayor Shen Hui-hung (沈慧虹) said. Volunteers picked up various kinds of waste, such as plastic and glass bottles, and polystyrene foam, from the beach. Ahead of Earth Day on Monday next week, Shen invited volunteers to pledge to reduce their use of single-use plastic products. Volunteers discovered that a majority of the waste on the beach was plastic, bureau Director Chiang Sheng-jen (江盛任) said.